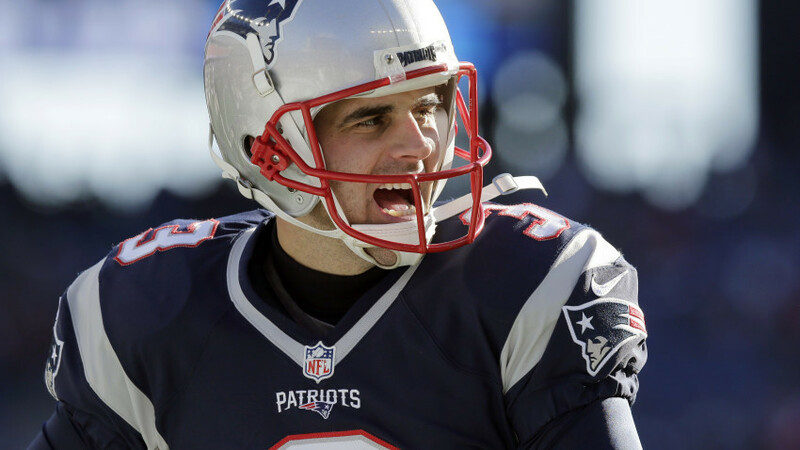 It's no secret that New England Patriots kicker Stephen Gostkowski is struggling to find his rhythm this season. Since joining the club in 2006, he's been one of the most successful kickers in the NFL, but a pair of botched extra point attempts in his last two games have thrust him into the spotlight. The 11-year-veteran is not making excuses though. "I stink right now. That's just the bottom line," Gostkowski told the media after Sunday's win over the Pittsburgh Steelers. Gostkowski has also missed three field goals this season, in addition to the missed extra points. He missed his first extra point in a win over the Cincinnati Bengals. Despite the issues, head coach Bill Belichick and quarterback Tom Brady have Gostkowski's back. "Steve's a very talented player. He's mentally tough. He's a good football player. We'll work through it," Belichick said when asked about his kicker. In a radio interview with WEEI, Brady shared his thoughts on Gostkowski's miscues. "I don't think anyone is really worried about that," Brady said. "I have 100 percent confidence he'll find his rhythm." Gostkowski admitted that something is obviously wrong, but with the team backing him, he said he will keep hitting the field with confidence. "I've always held my head high, and I will always go out there with confidence, Gostkowski said. "I'm gonna keep working hard to do the best." He'll put his foot to the test again this Sunday against the Buffalo Bills.